Global organizations in 2012 often have thousands of third party relationships that present corruption risks. The need for a well designed and effectively implemented third party due diligence program has never been greater. 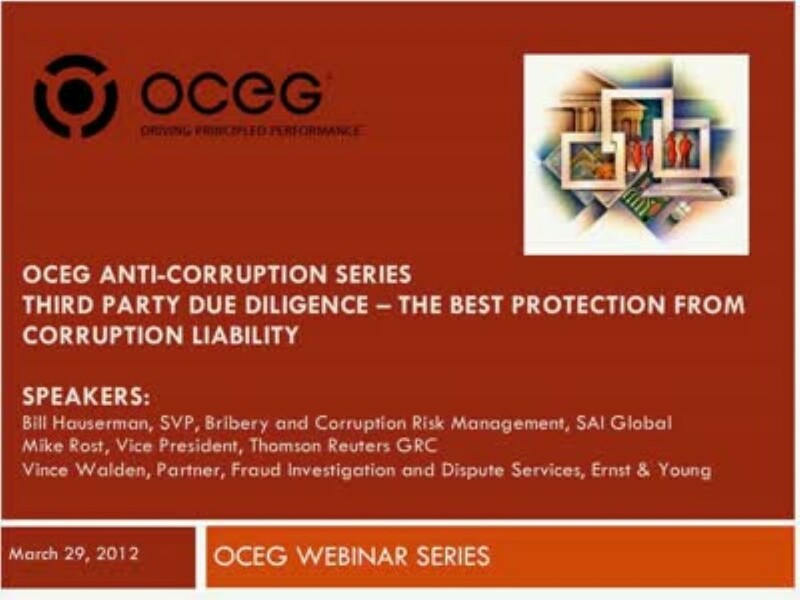 In this webcast, we present a key installment of the new OCEG Anti-Corruption Illustrated Series, with a deep dive into the subject of Third Party Anti-Corruption Due Diligence. We have emailed instructions to access Third Party Due Diligence Slide Deck to . Make sure the email arrives in your inbox: either add "support@oceg.org" as a safe sender to your email platform, or if you use Gmail, drag our email into your Primary tab.